See the landmark sights of Southeast Asia and thoroughly entice all your senses on a Mekong River cruise from AmaWaterways. Feel the rush of excitement as you take a trishaw ride down the charming streets of Vietnam or try your hand at making traditional Vietnamese rice paper. Hear the melodic chanting as you explore ancient temples and are blessed by monks in remote monasteries. Smell the intoxicating scent of spices wafting through floating marketplaces and then taste these exotic new flavors. These are the enriching moments of travel that let you explore more about the cultures and traditions of exotic lands. A journey through the heartland of Vietnam and Cambodia is truly a trip of a lifetime. Book your cruise by May 31, 2019 and receive 2-FOR-1 land fares on select dates listed below. Contact your preferred travel professional or AmaWaterways toll free at (800) 626-0126. On the 15-night Cruise and Land Program, you’ll begin your journey in Vietnam’s capital, Hanoi, followed by an excursion to breathtaking Ha Long Bay for an overnight stay aboard an elegantly appointed ship. A short flight to Siem Reap brings you to the gateway of the ancient Khmer empire where you can unleash your inner adventurer exploring the temples of Angkor Archeological Park. Cruise along the Mekong aboard the AmaDara as you are transported back in time to another era, offering glimpses into a traditional way of life, and then conclude your journey in Ho Chi Minh City, a bustling city with a mixture of historic and modern delights. 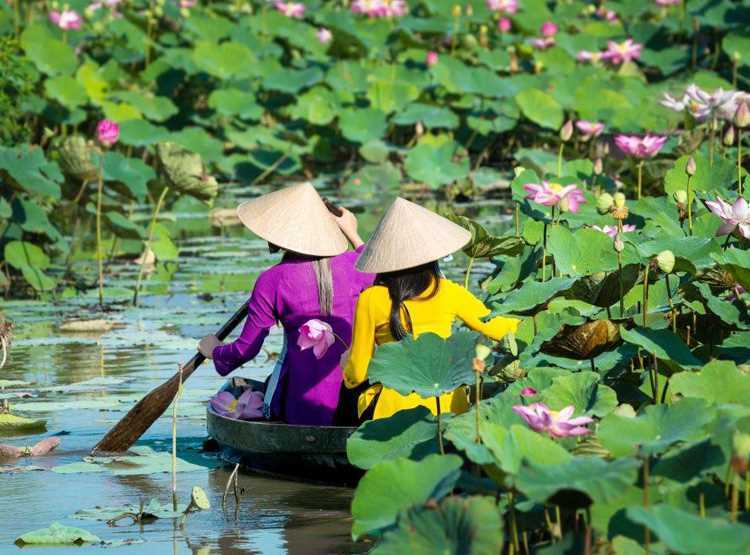 On the 15-night Cruise and Land Program, two lively cities, Ho Chi Minh City and Hanoi, provide the perfect start and end to your incredible journey. Cruise along the Mekong aboard the AmaDara, visiting rural villages, historic pagodas, local markets and a Buddhist monastery where you’ll witness a special blessing by monks. 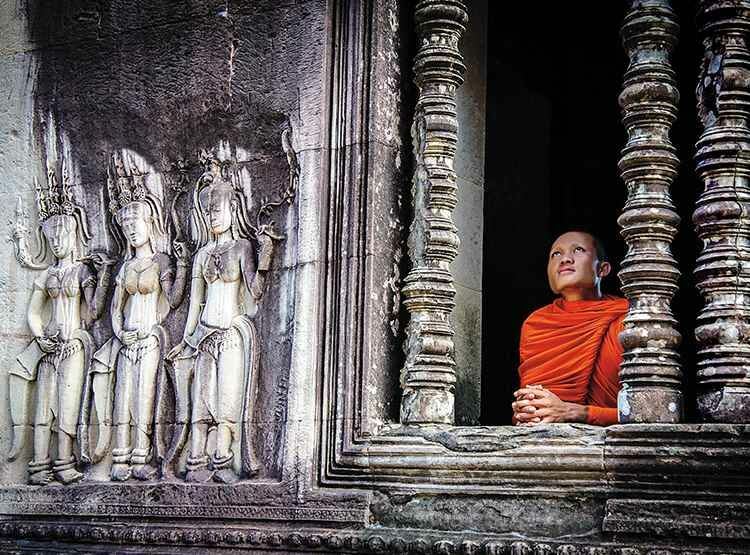 Indulge your inner adventurer in Siem Reap, exploring the grand temples of Angkor Archeological Park. 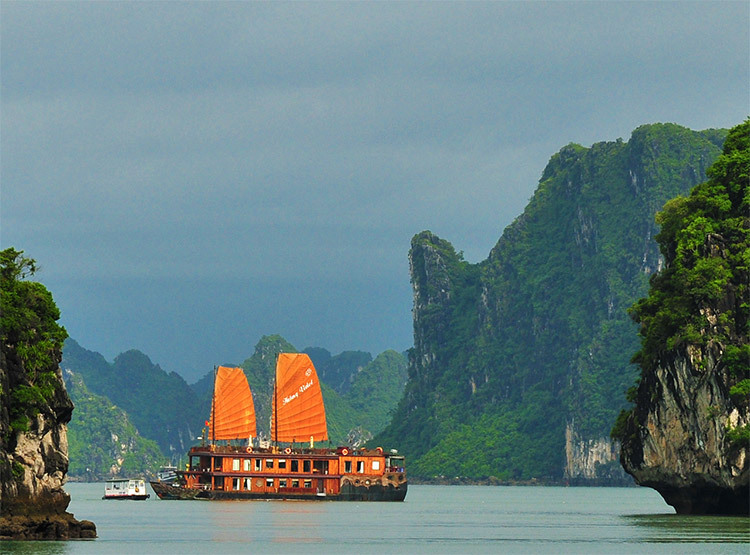 And luxuriate in an AmaWaterways’ Exclusive – an overnight sojourn on board an elegantly appointed ship in Ha Long Bay. Terms & Conditions: All rates are per person (pp) in USD for cruise only, based on double occupancy in a base category stateroom unless stated otherwise. Offer is valid on select sailings and is applicable to new bookings only made by May 31, 2019. 2FOR1 land program is only valid with the purchase of a participating 7-night cruise at full fare based on double occupancy as well as the purchase of our land program at full fare for one guest based on double occupancy. Full payment for cruise, land and air is due at time of booking. Offer is not combinable with any other promotions/discounts, limited to availability, capacity controlled and subject to change or termination without notice. Port charges, Round-trip airfare and Intra-Asia airfare, taxes and fuel surcharges are additional. Other restrictions apply. Registration as a seller of travel does not constitute approval by the State of California. CST#2065452-40. Book your cruise by May 31, 2019 and receive 2-FOR-1 land fares on select dates listed below. Contact your preferred travel professional or AmaWaterways at (800) 626-0126. Terms & Conditions: All rates are per person (pp) in USD based on double occupancy in a base category stateroom unless stated otherwise and reflect cruise plus 2FOR1 land program savings. Offer is valid on select sailings and is applicable to new bookings only made by May 31, 2019. 2FOR1 land program is only valid with the purchase of a participating 7-night cruise at full fare based on double occupancy as well as the purchase of our land program at full fare for one guest based on double occupancy. Offer is combinable with Past Guest Privilege Program and Future Cruise Benefits. Offer is not combinable with any other promotions/discounts, limited to availability, capacity controlled and subject to change or termination without notice. Port charges, Round-trip airfare and Intra-Asia airfare, taxes and fuel surcharges are additional. Other restrictions apply. Registration as a seller of travel does not constitute approval by the State of California. CST#2065452-40.